Despite getting a really bad rap, credit cards actually have a lot of advantages to them. 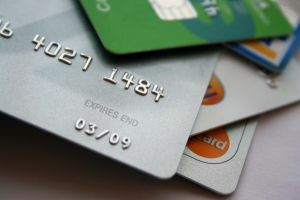 Of course it all depends on how wisely you use them, but as a wise (and financially responsible) friend of mine pointed out, credit cards can be a good thing, depending on how wisely you use them. They are safer than cash. If you lose cash, it’s lost. There’s nowhere to call and cancel it so that it can’t be used by someone else. But if you lose a credit card, you will only be liable for a small amount, depending on the card. Just make sure that you have the number to call, along with your account number! In fact, it’s a good idea to photocopy, front and back, all the documents you carry in your wallet. Keep the photocopy in a safe place however, as it will be a goldmine of valuable information. They also offer more protection against fraudulent purchases than debit cards. They are easier to track than cash. Every month you will get your credit card statement, and you’ll be able to track exactly where your money is going. This is my main problem with cash, in fact; I often forget what I spent it on. You can get rewards systems. Credit cards offer a ton of different rewards programs, and depending on what your needs are, you can be handsomely rewarded. If I still lived in the United States, I would choose a rewards program that offered free airline miles. Credit cards offer ease of purchase. They make it easier to buy things. This is, of course a problem, if what you are buying is not necessary. But have you ever tried to buy an airplane ticket without a credit card? I have, and even my debit cards won’t cut it, for a variety of reasons. If you move to the United States from France, for example, you won’t have any history of credit. This can be a problem for a great number of things, including renting or buying property. Think it doesn’t matter? Try renting an apartment without credit history, or getting a phone connected. Emergency funds are useful things, but what happens if you have an emergency without having the money to pay cash? Credit cards can help you out of a tight spot- just don’t rely on them for things that aren’t real emergencies. On the other hand… we all know the negatives of using credit cards. Spending money isn’t always easy. There aren’t any spending limits on cash- you can buy whatever you want, for as little as you want. No merchant is going to stop you from buying pack of gum with cash. They might not let you do so with a credit card, which might mean that you buy more. And the interest! The penalties! The fees! For me, the negatives of credit cards outweigh the positives. I don’t feel that I can really trust myself to use credit cards responsibly, so I don’t. Luckily my bank cards offer many of the same protections and advantages I talked about above without the negatives and risks involved. Do you use credit cards? What are the advantages and disadvantages you see involved? I’m not opposed to responsible use of cards, but it’s more work than I’d like to keep up with. One thing I love about debit or cash is that when I pay for a thing, it’s paid for. With credit, I have to think about it again at the end of the month or billing cycle, all that. I do use a card to pay my cell phone bill because it’s a way to keep a good credit score, but it’s easier to know that if something goes wrong the interest will only be on a small amount. – you only spend the money that you have in the bank. You cannot purchase what you cannot afford. You have to make the effort of saving first, and then buy that new computer (that I know you are craving). A little bit like when your mom made you finish your homework before you could watch cartoons. Work first, then fun. No instant gratification but you don’t have to worry about paying interests. You are a smart woman. I agree that all the positives can be outweighed very quickly by someone who spends themselves into debt. All of a sudden, credit cards become a very big burden, not an asset. That being said, if you are able to use credit responsibly (and this may be a habit that is developed in time for some), credit cards can be used to your advantage. We do use credit cards, but then again we pay pretty close attention to how much we have spent and how much we have. We spend below our means and we pay our cards off as soon as they are due, if not before. Saver Queen´s last blog post..Fifty Fun, Free things to do on Valentines Day! I use a credit card for the majority of purchases over $10 (and cash for anything less). I only have one card and it is paid off in full each month. I pay a service fee each time I use my debit card, but it costs me nothing to use my VISA and nothing to transfer the money from my bank account to the credit card. I don’t spend more than I have because I understand that using my credit card is spending money. I couldn’t agree more! We enjoy making a little extra money from reward systems, not to mention the fact that credit cards are a safer spending method than cash. I get irritated when financial planners encourage EVERYONE to cut up all their terrible nasty credit cards. Sure, if you are maxing them out each month and not paying your bills, you definitely should cut them up! But what about those of us who use credit cards responsibly? I think they can be a great tool if used properly. Awesome post!! I’m glad you decided to do a positive post on CC’s. Too many negative posts but the reality is, if you use them responsibly, it can help you in the long run and make your life easier and less stressful. My husband and I use a joint, no-fee credit card for everything possible and always pay it off in full each month. We earn cash back at the end of each fiscal year which we use to purchase extra groceries & tree at Christmas time. Using a credit card saves us time, fees and hassle of having to withdraw money regularly. It works for us. I have “had” to get a second card in my name alone, to build up my personal credit rating (everything has always been joint with my husband who is the main wage earner). I’ve read this can be really important should anything ever happen to my husband. I don’t need or really want this card but choose to charge something from my budget on it every couple months to keep it current. We are united in the goal of living within our means and our desire to stay debt-free. Sometimes, though, I wonder if “cash-only” would push me to be even more careful with spending. Great post! I love credit cards – always have, though for different reasons when I was younger. A couple of things: 1. Credit and debit cards have the same protection when it comes to fraudulent charges. I think credit card companies invented this myth when debit cards came out because they felt their business model being threatened. But, in reality, debit cards are subject to the same rules dictated by Visa and MasterCard as are the credit cards that carry the same logos. The only difference is that with debit cards, you see the money leave your checking account before it’s replaced, whereas seeing your available credit line decrease on a credit card is less tangible to our minds. We don’t really equate that with money missing like we do with our checking accounts. Debit cards also require a little more paperwork than credit cards, but aside from those two differences, the protection is still the same. Banks are still required to call about suspicious activity, freeze the card when odd spending patterns arise, etc. 2. You can totally make money at the credit card company’s expense. I do this at least once or twice a year through arbitrage. This can cause a slight drop in your credit score for the duration, but you’re not paying interest and you’re earning a little money on them, so it’s a fair trade-off in my opinion. 3. Just as a side note, many debit cards are offering rewards now. I know Chase has at least three different ones, so I’m pretty sure others also have reward cards, as well. Hi Kelly – great post. I’m with you, I prefer debit for my personal spending style though I do also think that there are many excellent strategies to using credit cards well, such as the ones mentioned in previous comments. It all depends on your situation. Using cash or debit on a day-to-day basis suits the way I manage my spending, and I simply like the debt-free lifestyle concept. The perspective in the payments industry is that there is a general shift towards cash payment methods driven by perception of the economy, high debt, and the fact that there is diminishing credit available in general. Big name stores like Walmart and Target have reported this over the past few months, and we’ll see some evolution in cash payments to better meet consumer needs. Fraud protection is just one aspect of the decision. Note that debit does not offer quite the same protection as credit cards in this respect. According to federal law, liability for fraudulent charges is greater on a debit card than credit card. You can be liable for up to $500 on a debit card, while on a credit card it’s capped at $50. Having said that, Visa and Mastercard have zero liability policies that go beyond federal law, however there are loopholes that still lead to bigger headaches with settling fraud with debit. See article on consumerreports.org. I’m joining the people that voted for the debit cards. Eben though I have had credit cards before, they are trickier to manage, the debit ones are much simpler and simplicity is important to me. Also the costs make the difference. I don’t normally carry much cash on me, almost everything I buy is paid for by a debit card. We use credit but pay in full each month. If I knew of a debit card that offered the rewards we get on our credit card then I’d go for it. I like the easy in downloading transactions, the ‘protection’ and especially the ~$1000 cash we make each year by using our credit card! Hi Shannon, what kind of card do you use which enables you to "earn" about $1000/year? Thanks for posting that Kelly! You're right, <a>Credit Cards can be good and when used properly can be a great source of money savings. I would however disagree with your point about using them for an Emergency. In reality a good Emergency Fund should be the way forward rather than the use of a credit card. I would hope that wouldn't be needed though maybe in the case of an Emergency Emergency it could be a last resort (but keep it as a last resort though). I have and use both credit and debit cards. The credit card is for travel, mostly. I don’t want to put up with the ‘cash hold’ that hotels and car rental places put on debit cards, thought I totally understand why they do it. So those charges go on the credit card and are then paid off with money from the vacation fund when the next bill cycle comes along. That keeps my credit card history active (since I’m using it a couple of times a year) but it’s still a budgeted expenditure. Daily expenses, debit card all the way. I have a high yeild checking account, which requires direct deposit and a certain number of ‘no pin’ debit card transactions each billing cycle to get the higher interest.